Getting bored with the code and errors? Need something to dig in to release the stress? A game is always proved the best option in this situation. But as a Linux geek, we have an insufficient world to enjoy. Unless you missed the Armed and Gelatinous. You may remember those nostalgic arcade games like Super Mario, Mortal combat or shooting games like Super Contra. I do always remember those beautiful experiences. This kill-them-all game is here for us, for Linux lovers. 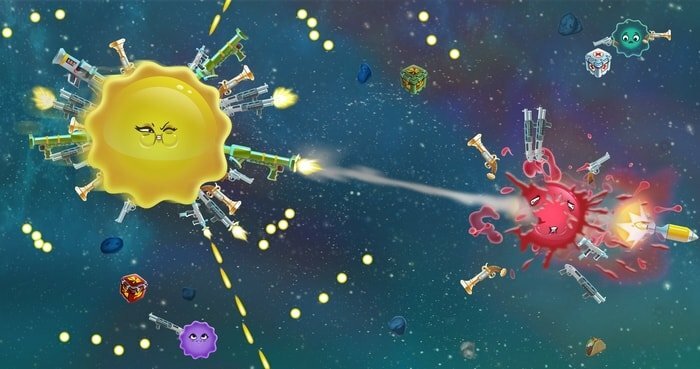 Three Flip has brought this full fun game with different characters of blobs, a variety of arms and ammunition. The story begins in the future where we humans are getting ready with peace, so send all the weapons in the void space. But bad luck, we handed out our vast ammunition to Gelatinous blobs. And wars begin! You must try this out for the serious fun. The whole level is customizable with time track, death fight, conquer story mode. Can not catch up with the game? Start from the training mode to become proper killing gelatinous. You can customize your blobs with different types of ammo. You have dashing maneuver. More dash more charge and more attack! 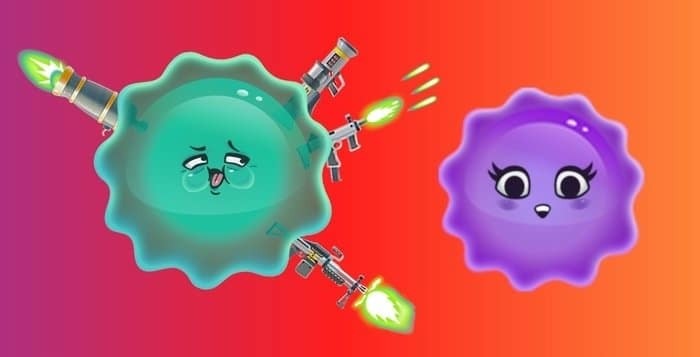 You can steal ammo and lifesaver from the enemies but remember, when you get more ammo you will get bigger in size, and you are going to be hit by the enemies bullet. I have a Steam Machine that runs SteamOS, we test our Linux builds and Steam controller setups with it. We recently broke our Linux build through Steams back-end system. We had it set to x64, but we didn’t allow an x86 executable to run. Yeah, that’s bad. A user would be greeted with “Executable Is Missing” when trying to launch the game through Linux. Always double check your backend settings and test, test, test. Armed and Gelatinous game is available not only in your Linux device but also you can play it online. You have multiplayer access to make the team to conquer the space. You can play online with steam but you have to go for £7-10 but they money worth spending too. Love to play with Xbox or PlayStation? Don’t worry it is coming and get ready to fight and become space conquer.